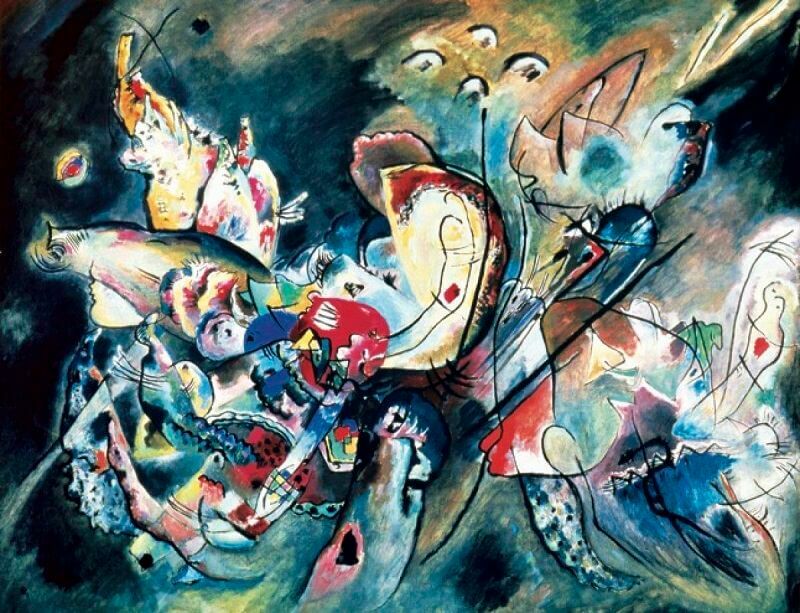 Kandinsky remained in close touch with artistic developments in Russia throughout his years in Munich. Although he came from an upper middle-class family, he initially welcomed the Revolution and pledged his organizational and teaching skills to its service. As head of the Institute of Artistic Culture. INKhUK. he came into contact with the leading members of the Russian avant-garde. His ideas of a synthesis of the arts, however, and his orientation towards the principles of music, literature, theatre and dance, were rejected by his colleagues as subjectivistic and irrational.